Multiple invoices for the same Vendor, different projects. Some invoices have several projects on one invoice. Select Vendors > Payable Invoices and Credits. Before you save – copy the record using the “copy” icon, or Edit > Copy process. 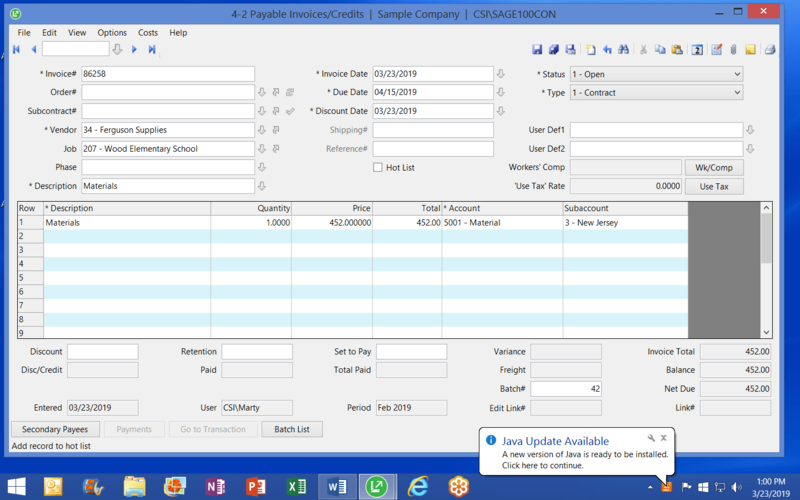 Save the record, using the automatic Save, or distribute the invoice over several cost codes on the Job Cost screen. Paste the record, change the Invoice Number, the Project and the Amount. Save as above. Then paste the record again and repeat the above steps. 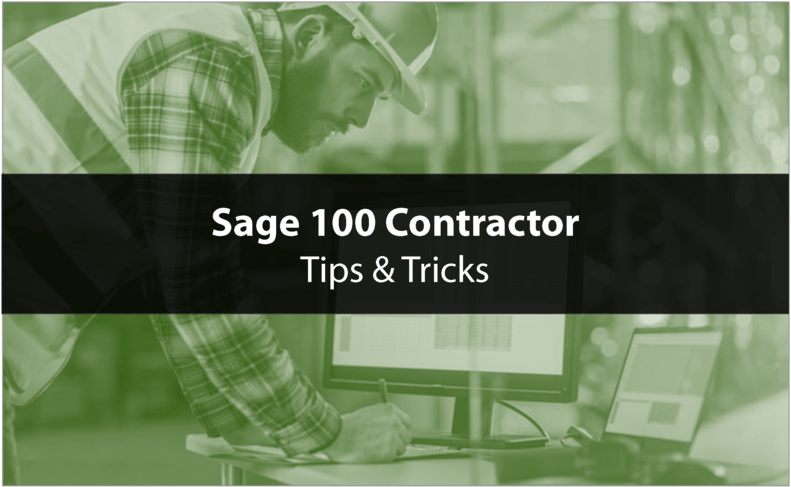 If you have one invoice with multiple projects, Paste the record as stated above, and change the Project and the Amount, and leave the Invoice number the same. Before you exit A/P Invoices and Credits. Select the Batch List at the bottom of the screen, and another screen appears showing the invoice totals for you to edit/correct/verify. 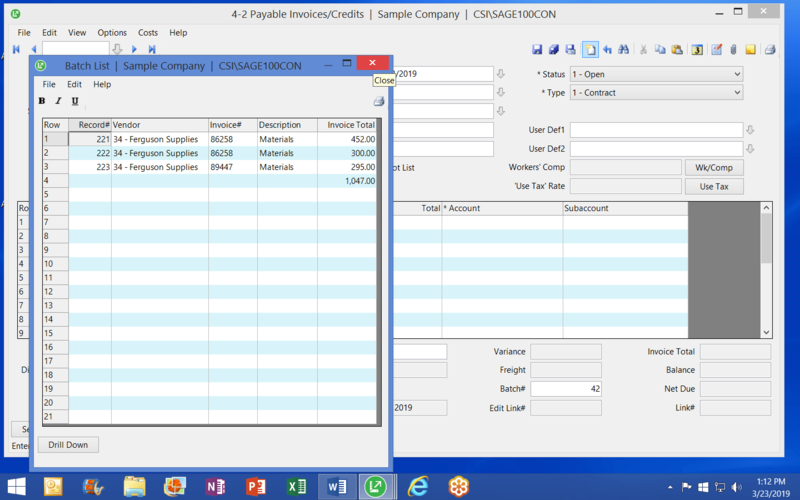 Now you are able to select all the A/P invoices for one particular Project, when you are ready to make payments. Note: Do not exit the screen for A/P Invoices or Credits during this process. The Batch number will change and you will not be able to get one report for all the invoices on one Vendor in the batch total.